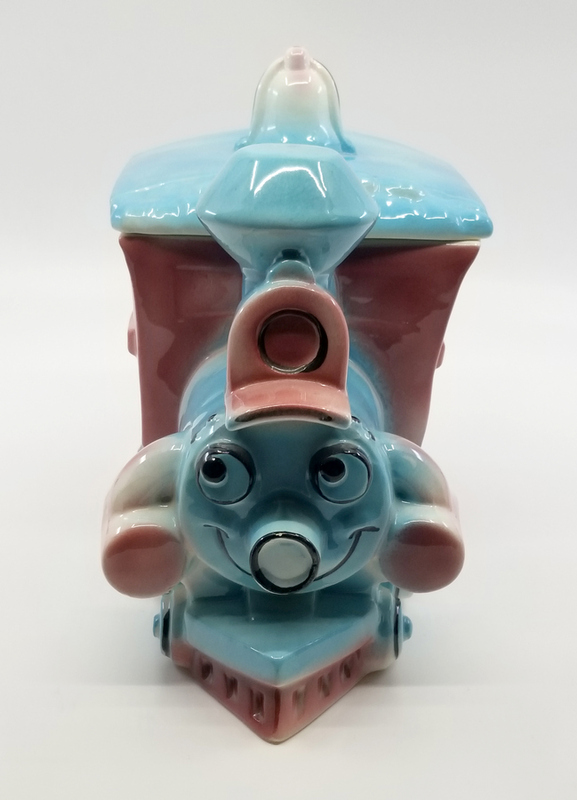 8" x 5.5" x 8.5"
This is an extremely rare figural cookie jar from the 1940s/1950s depicting Casey Jr. from the classic animated Walt Disney feature, Dumbo. 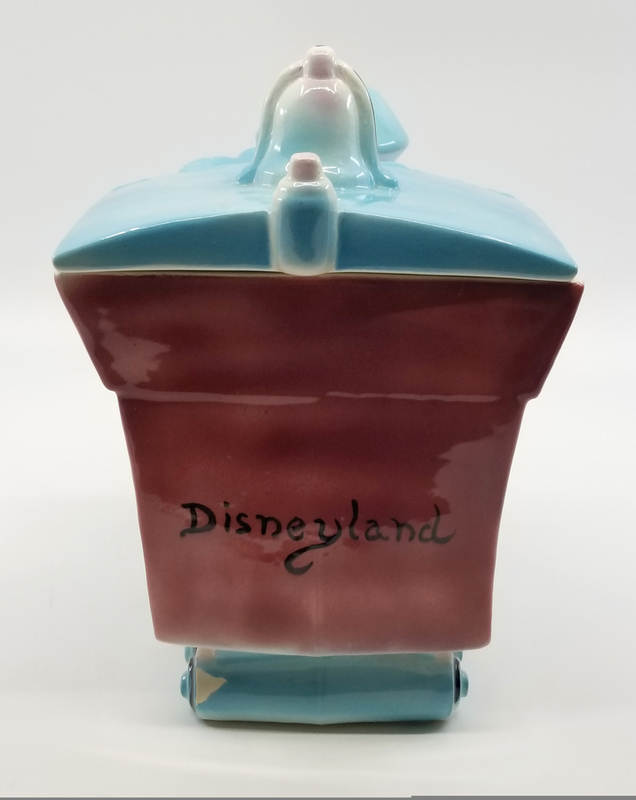 This jar was designed by Don Winton for the Hagen Renaker pottery company. 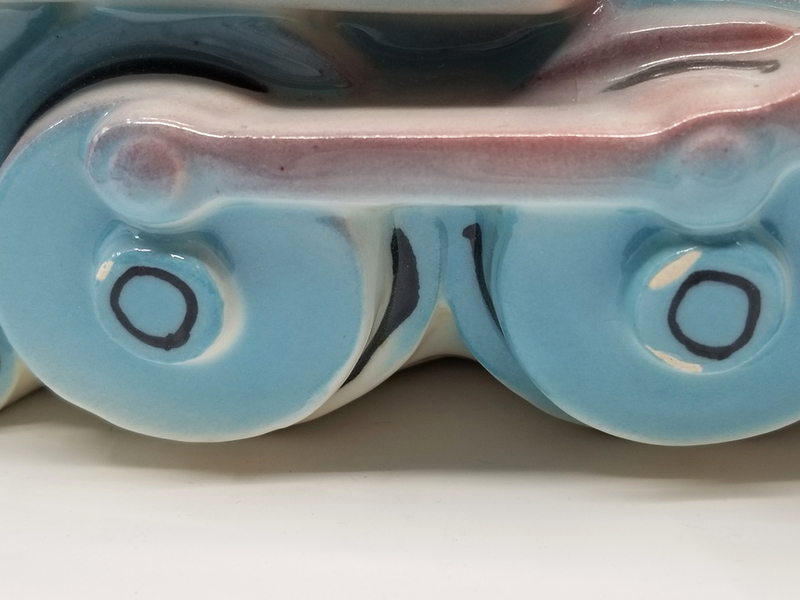 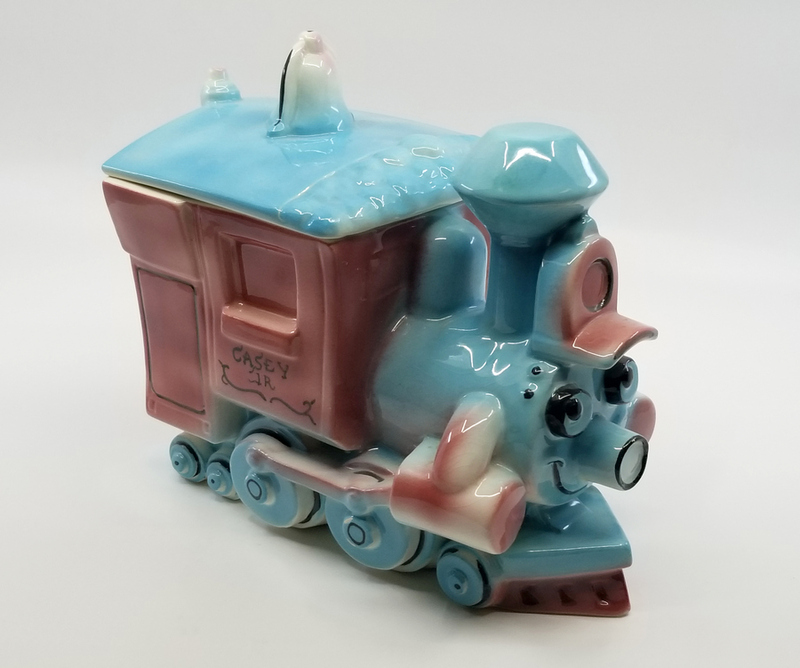 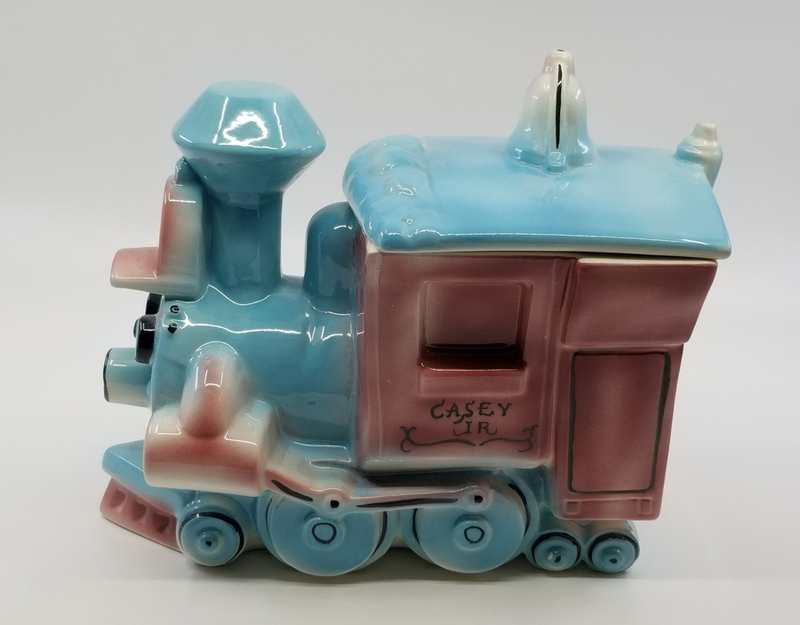 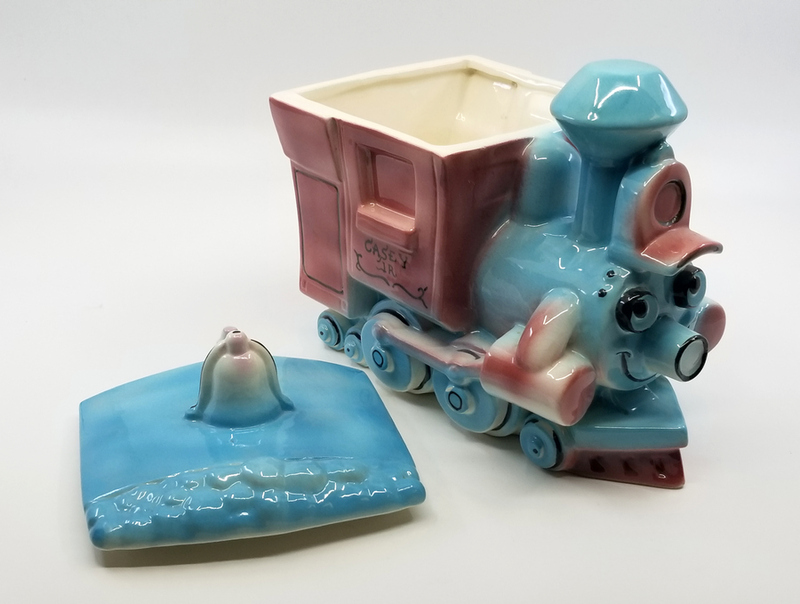 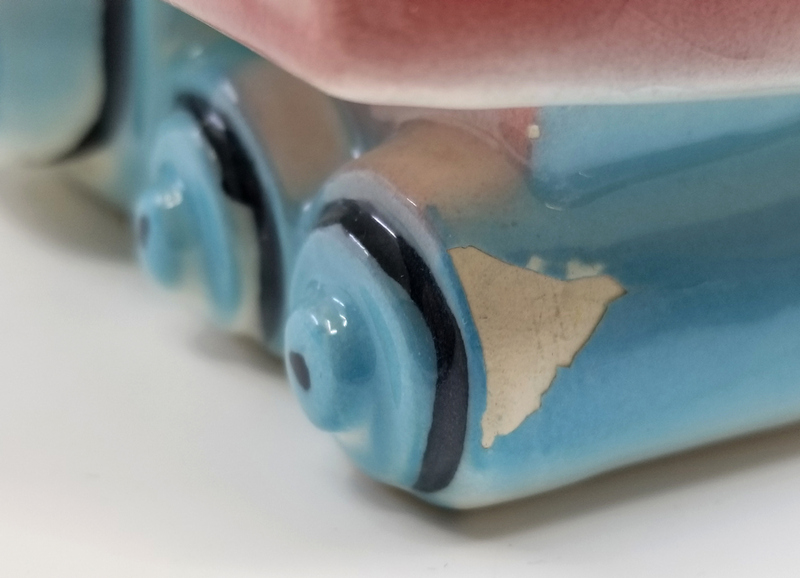 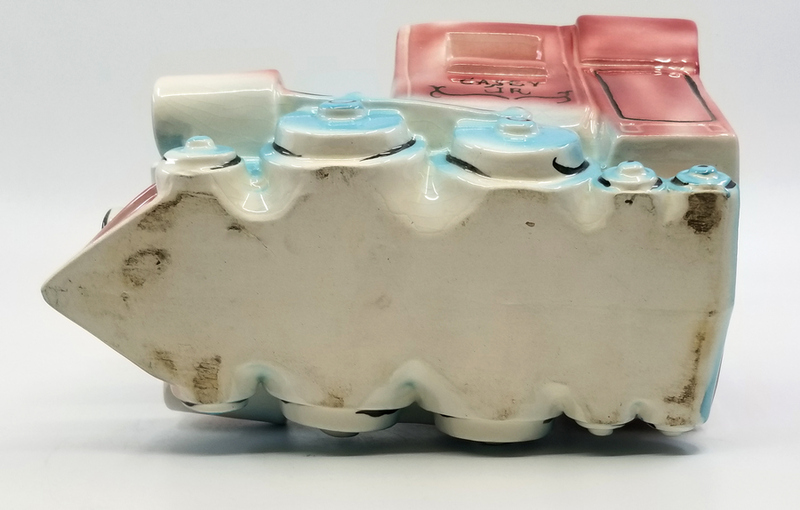 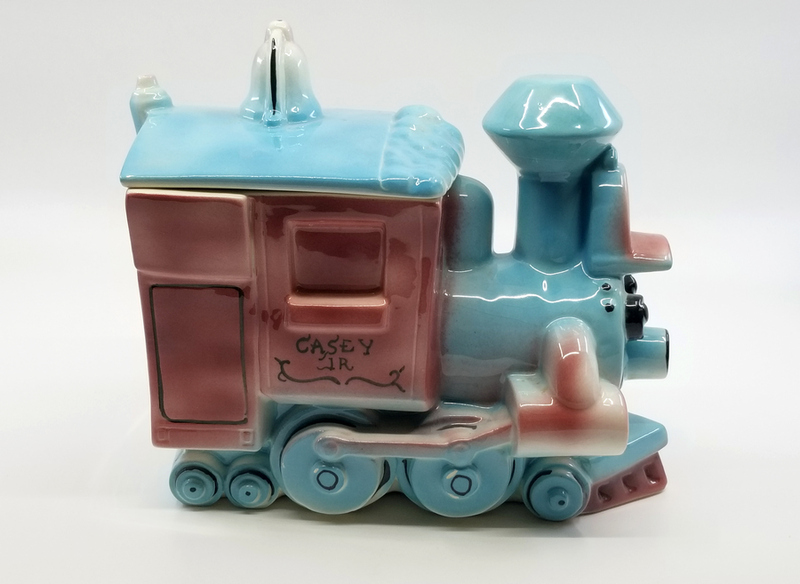 This very rare cookie jar measures 8" x 5.5" x 8.5" and is in good condition overall with some chips in the paint at the wheels on one side of the train.